Although I'm not a big Benefit fan anymore, there is no denying their Hoola bronzer is an absolute essential for those who love a natural looking bronzer. It's incredibly easy to blend which makes application quick and fuss-free, completely matte in finish and great for all seasons. This month all Birchbox subscribers will be receiving a very decently sized travel version of Hoola; I've had a few of these travel sizes over the years and they last months, so although not full size, it's going to last a long while and great for keeping in your handbag for on-the-go touch-ups. It has been years since I did any sunless tanning, so this product isn't really for me, but it's a good one for those who like to tan and have any festive events coming up, with a decent 15ml sample size. Described as an innovative overnight tanning mask which uses a hydrating formula, so you don't have to compromise on skincare whilst tanning. I'm a huge L'Occitane fan and their Shea Butter Hand Cream is a cult classic. The November box features a 10ml sample size, which isn't the biggest but will give you a good week's worth of use so you can see whether you like it enough to purchase the full size. The formula is 20% Shea Butter, an incredibly rich lotion which is fast-absorbing and leaves hands feeling moisturised and softer to the touch. I adore the subtle scent and find it very comforting; a product I've loved for years, I'm really happy to see this one included in the November Birchbox. I've tried a few Percy & Read products over the years, finding some I can happily pass on and others which are fantastic and I end up repurchasing as essential hair care favourites. This is a new product for me, working to nourish tired hair with a strengthening ProVitamin B5 formula and Violet Extract, which helps give hair some added oomph. It also helps to protect hair from heat styling, so if you're quick to use dryers and straighteners, this might be a handy product to have in your routine. The one and only full-size product in the November Birchbox and a Birchbox own product, too, I was so excited when I spotted this! Washing makeup brushes can be such a long and boring task (especially if you have as many makeup brushes as me! ), so the Birchbox Brush Cleaner is a perfect addition to your brush laundry routine; it takes the mess and hassle out of brush cleaning with specially designed groves which help to remove every trace of product from your makeup brushes. For me, this really is the winning product in the November box! 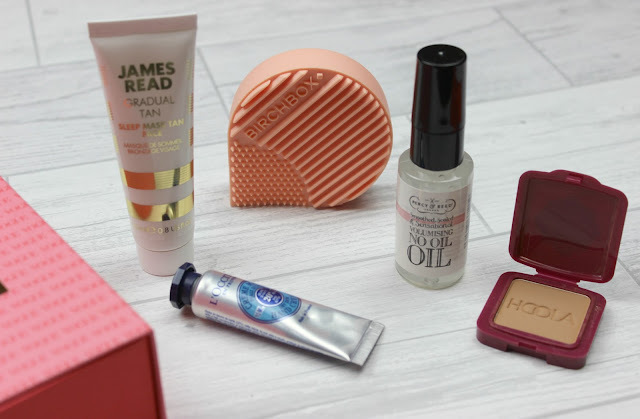 I can see the November Birchbox being a bit hit or miss with subscribers; personally, I'm quite happy with the contents, with only one product I won't use. With the Birchbox own product being the only full size, I suspect a few people may wish other products had been full size instead, but I'm so chuffed with the Brush Cleaner, so for me, this box is a winner. 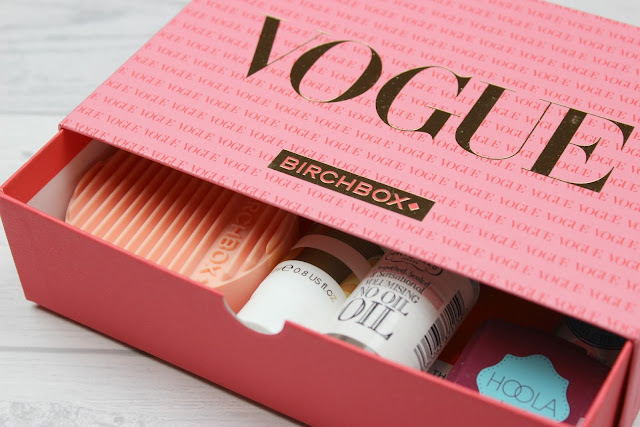 Don't forget you can shop all the products and brands featured inside this month's box over on the Birchbox online shop and make sure you subscribe to Birchbox in time for December's box - subscribers will get to choose their full-size product for December, either a LOC classic party red lipstick or a Pixi Beauty natural lip tint. Were you happy with the contents of your November Birchbox? What was your favourite product inside this month's box? I've not heard of a birch box before but it looks really good. The products sound good and I like the sound of the brush cleaner - something I need! It looks like a good selection of products. That is my favourite handcream ever. you cant go wrong with loccitane hand creams and hoola is my go to bronzer! I love that hand cream a lot. It smells amazing.